Our featured venue for May 2019 is Alternative Venues Chancery Lane, Lincolns Inn. A prime location in the City, Chancery Lane, Lincolns Inn is moments away from Chancery Lane and Holborn Underground stations and is perfectly suited for corporate events. The building was constructed between 1770 and 1775 and is Grade I Listed. 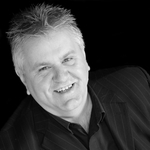 According to Dr James Mcquivey: “One minute of video is worth 1.8 million words.” So when it comes to marketing your business, using video can have a big impact on generating customers. With this, for our April edition of How We Met and Prospered, we speak to Liz Springer of LSB Consulting Ltd.
Our featured venue for April 2019 is the Institution of Engineering and Technology, Savoy Place. We are delighted to announce details of this year’s annual charity raffle which will take place at our London Business Directory launch evening, at the DoubleTree by Hilton, Westminster on Wednesday 27th March 2019 at 8.30PM. Tickets are £1 each and the draw will be at 8.30pm. All proceeds will go to Business Junction member charity The Maytree Respite Centre. 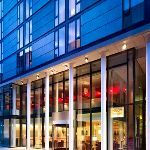 Our featured event for March 2019 is the DoubleTree Hotel by Hilton, which will be hosting our London Business Directory launch evening on Wednesday 27th March 2019. Welcome to the March 2019 edition of our How We Met and Prospered blog series. Each month we will be talking to a member of the Business Junction network about the connections and business opportunities that they have made through the network. 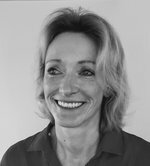 In this month’s edition, we speak to Bernadette Disborough, MD of HRS Management Ltd.
From February 2019 we will be running our new article series: How We Met and Prospered. Each month we will be talking to a Business Junction member about the connections they have made through the Business Junction network, and how it has helped their own business prosper. 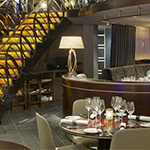 For our very first How We Met and Prospered article, we spoke to Cody Colville, Director of Blue Room IT Ltd.
Our featured event for February 2019 is the effortlessly stylish Malmaison London hotel, which will be hosting our February Champagne networking breakfast event on Wednesday 20th February. Each month, we will be featuring one of our prestigious upcoming host venues to be our featured venue of the month. 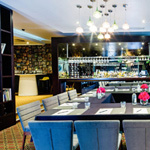 Our featured venue for January 2019 is Quaglino’s, who will be hosting our Networking Evening on Wednesday 23rd January 2019.